HEMPSTEAD, N.Y. – Delaware rallied for eight runs in the sixth inning to post an impressive comeback victory over Hofstra as the Blue Hens and Pride split a Colonial Athletic Association doubleheader Saturday afternoon at Bill Edwards Stadium. Hofstra took the opener, 1-0, before Delaware answered with an 11-8 victory in the nightcap. The Pride (15-14, 3-2 CAA) scored the only run of the first game by pushing across an unearned run in the bottom of the second inning. Meghan Giordano led off with an infield single, and after Angelina Ioppolo reached on a throwing error to put runners on the corners, Jaycee Ruberti delivered an RBI single to centerfield. 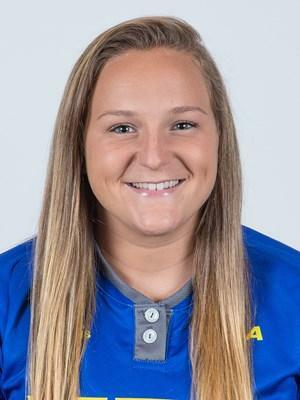 Delaware (13-17, 1-4 CAA) attempted to rally in the seventh inning, but Anna Steinmetz was thrown out at second after hitting a ball to the rightfield fence. Brittney Mendoza then recorded her second hit of the game with a single to left, but Chayanna Gallardo grounded out to shortstop to end the game. Maddi Marsh enjoyed an excellent outing in the circle for the Blue Hens, allowing just one run on six hits with three strikeouts during six innings of work. 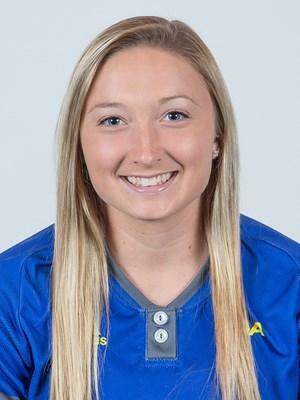 Meanwhile Hofstra pitcher Madison Burns struck out eight batters while posting a four-hit shutout. The Blue Hens struck first in the nightcap as Hanna Garber led off the top of the third with a walk, and after stealing second and third, scored on a single by Mendoza. Steinmetz then drove home Halle Kisamore with a sacrifice fly to give Delaware a 2-0 lead. Hofstra countered by scoring five runs in the bottom of the fourth, including a two-run single by Imani Myint and a two-run double by Kasey Collins, before the Blue Hens responded with an eight-spot in the sixth. Steinmetz opened the rally by hitting her team-leading sixth home run of the season, while Sarah Bessel (Conrad) doubled home Gallardo to make it a 5-4 game. After Miranda O'Donald legged out a bunt single to load the bases, Garber walked and Kisamore was hit by a pitch to put Delaware in front. One out later Steinmetz walked to force in another run, before Brooke Glanden (Lake Forest) capped the rally with a bases-clearing double to left. Hofstra answered with three runs in the bottom of the frame, but Kisamore gave Delaware an insurance run with an RBI groundout in the top of the seventh. The Pride then put two runners on base with one out in the bottom half, but Marsh retired Kristin Hallam on a groundout and struck out Collins to seal the victory. 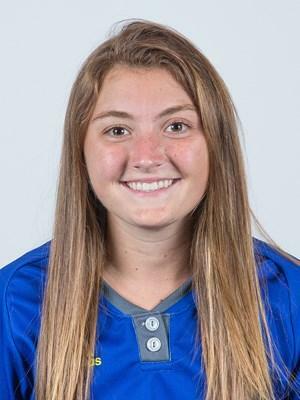 UD relief pitcher Katie Stahre (Lake Forest) earned her second win of the season in the circle, while Marsh was credited with a save after firing two scoreless frames.